Endre, Katrine, Nataliya and Tom have recently been on a journey far removed from the ocean – although the location did hold a lot of fresh water…! 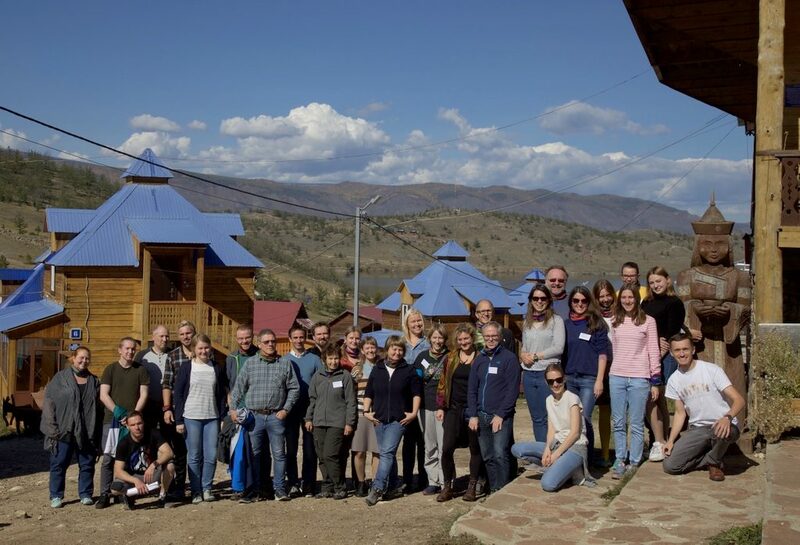 We have – together with Torbjørn Ekrem from the NTNU University Museum – been teaching DNA barcoding at the Russian-Norwegian course “Data mobilization skills: training on mobilizing biodiversity data using GBIF and BOLD tools”, which was held in Naratey on the western shore of Lake Baikal September 14-20, 2018! 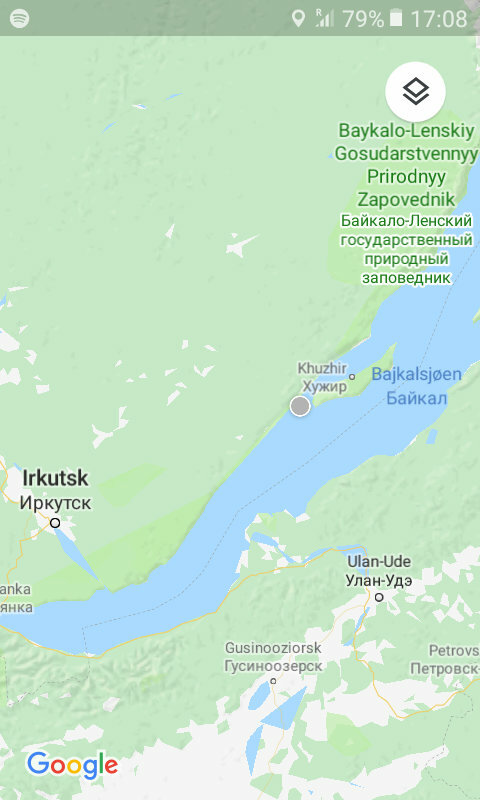 It was a long journey from Bergen..
..to Irkutsk, and then by bus.. 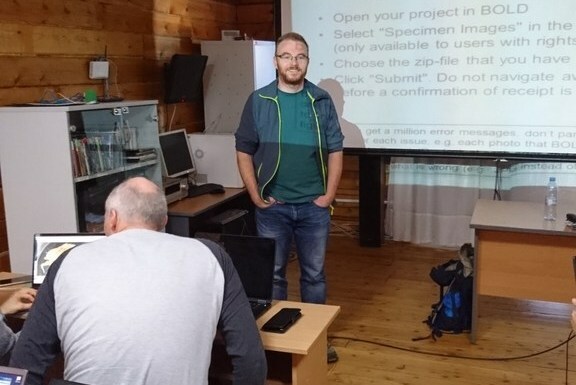 The course consisted of two modules focusing on GBIF and BOLD tools. 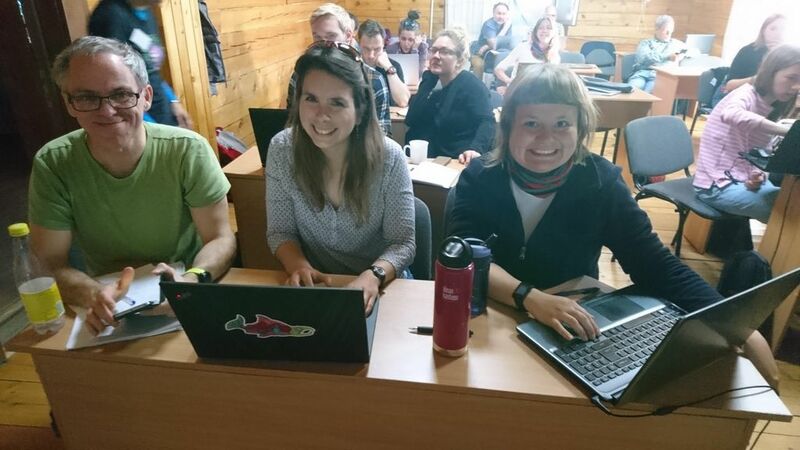 The GBIF part was taught by Dag Endresen from UiO, Laura Russell and Dmitry Schigel from the GBIF Secretariat. It included both online preparatory work for the students and (mainly) onsite components. 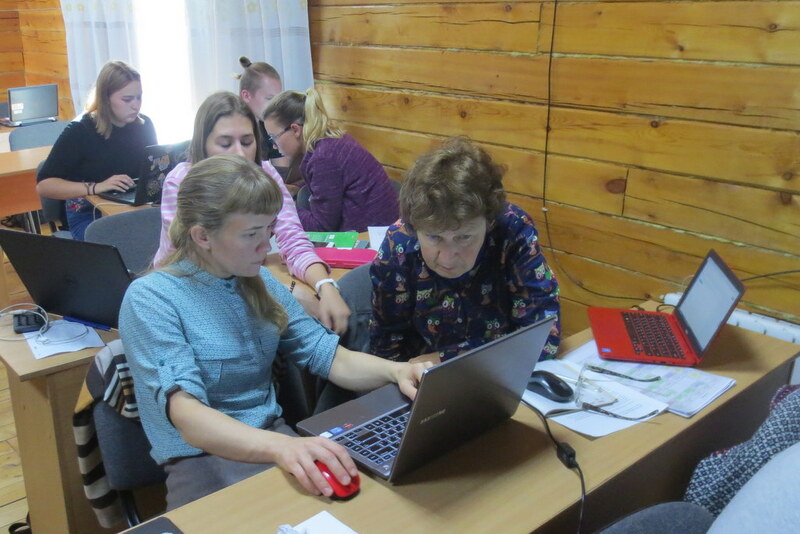 The online portion consisted of tasks that the students completed on GBIF’s eLearning portal. The onsite work was comprised of 20 different sessions of lectures and practical exercises, the latter with a significant component of group work. 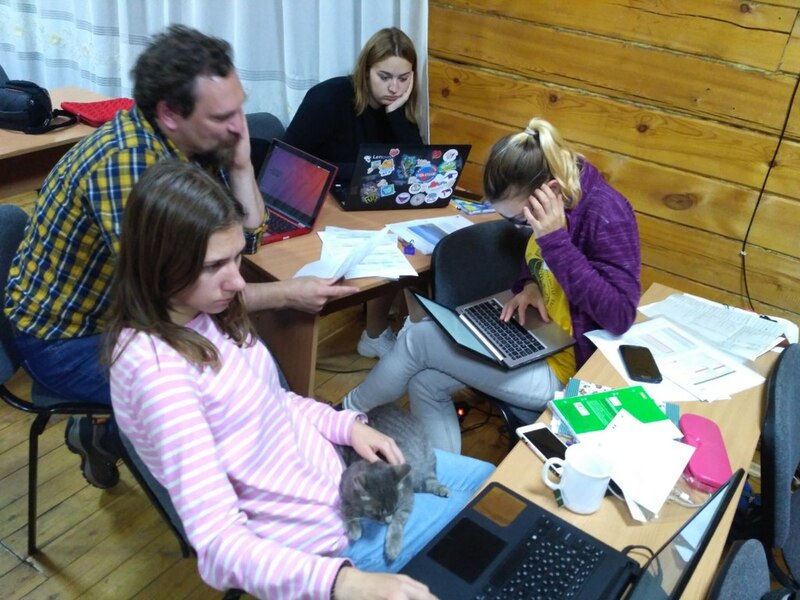 16 students from Norwegian and Russian intuitions participated, and did a wonderful job of assimilating a lot of information in a short amount of time, and turning it into practical skills. 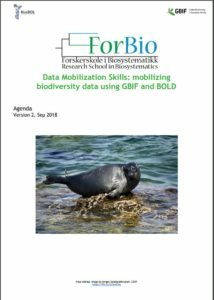 The two main platforms we used were GBIF and BOLD – two large depositories for different kinds of biodiversity data. 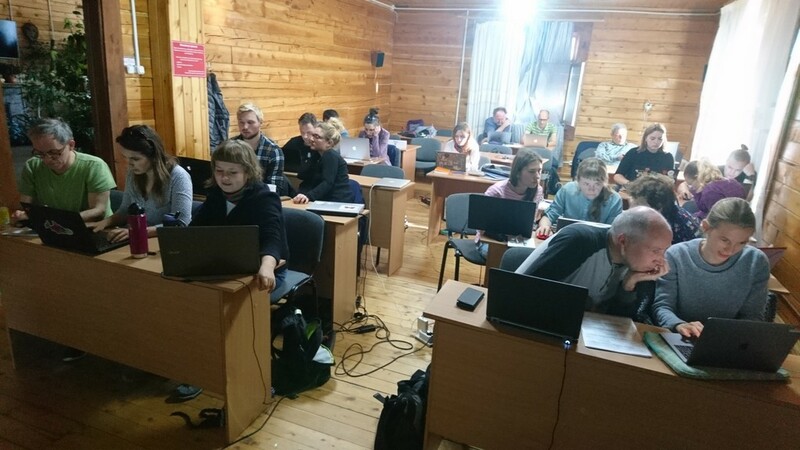 The GBIF-part of the course focused on the technical aspects of data mobilization, such as data capture, and management and online publishing of biodiversity data in order to increase the amount, richness and quality of data published through the GBIF network. 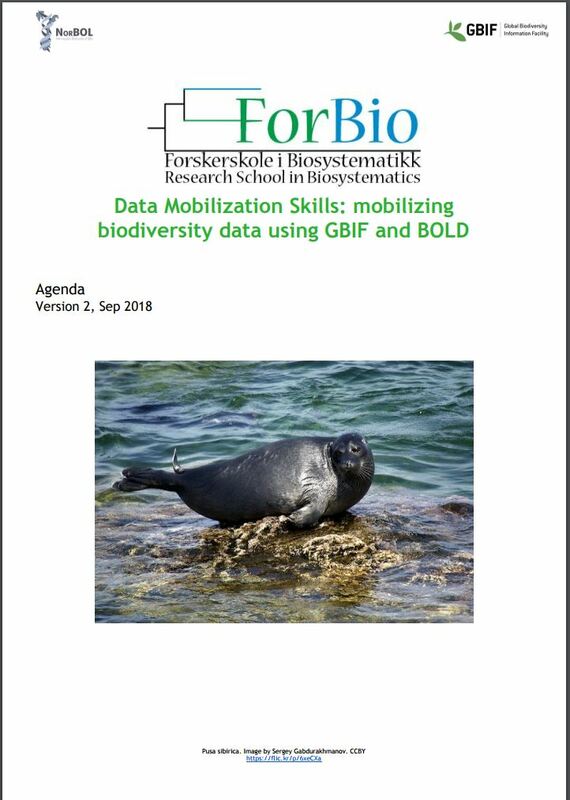 The barcoding part was aimed at both users and providers of barcoding data, and began with an introduction to the barcoding concept, and a case study of integrating data from BOLD and GBIF. This was followed by a session on the use of BOLD: creating projects and datasets, and the uploading of data, images, sequences and trace files. The students got to try all of this for themselves, and we were impressed by how well they worked together to find solutions and teach each other valuable tricks to solve the challenges. Endre is becoming one with the sequences.. 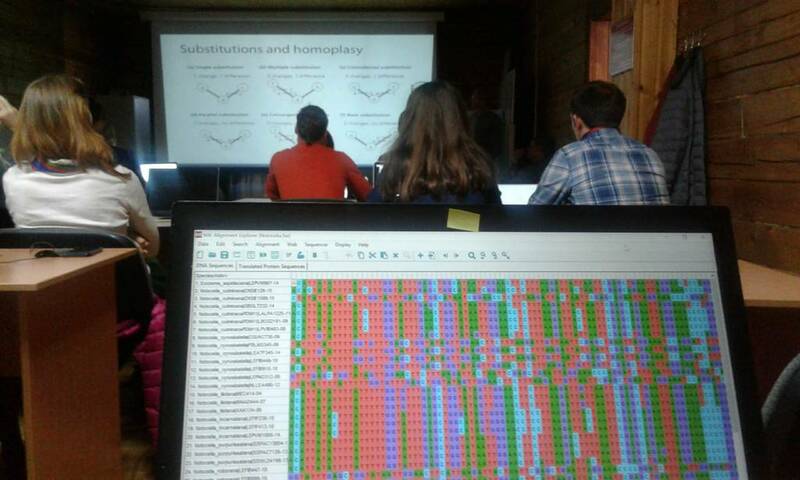 Following the lessons on how to get sequence data into the database, we covered basics of sequence analysis, and gave an introduction to the free software MEGA X which can be used for sequence alignment, translation and phylogeny. 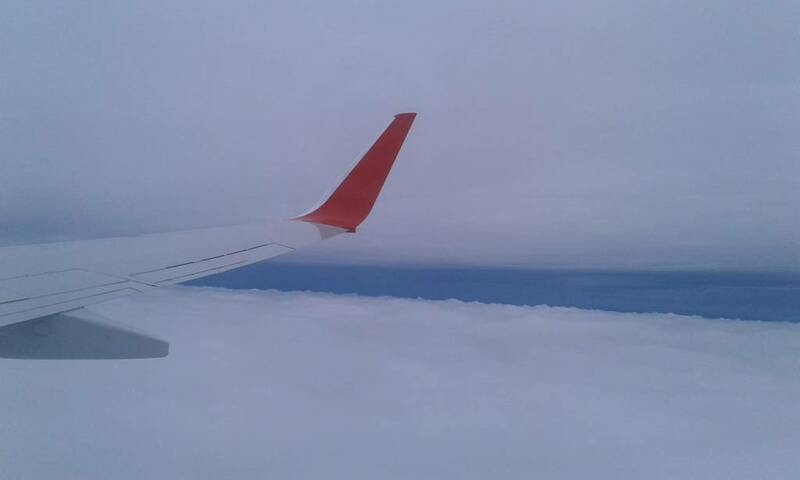 This was again followed by a practical session in MEGA on a given data set. 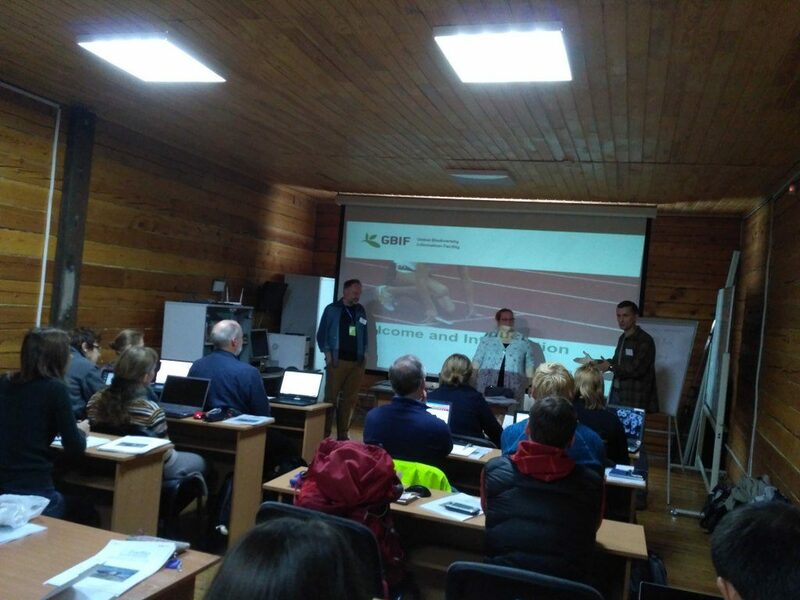 We also had a session presenting the analytical tools in BOLD, with a practical session exploring a dataset from NTNU. Our lessons were very well received by the students, with an average score of 4.8 out of a possible 5 on the evaluations – nice feedback for the teachers! 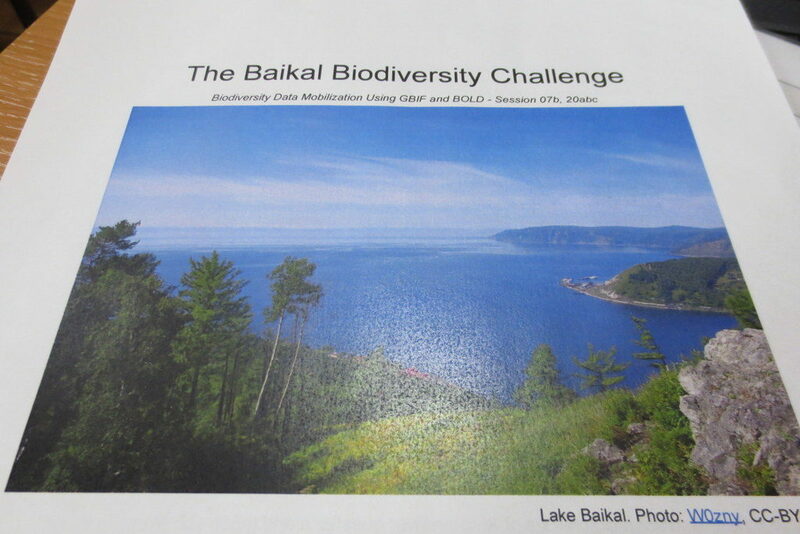 The final task for the students was to present their presentations for “The Baikal Biodiversity Challenge”, which they were presented with on the first day of the course. The challenge was to develop a biodiversity inventory project to map and analyze the diversity of a selected animal group. To do so they would need to use available information in BOLD, GBIF and other sources to examine what was known and identify information that was missing, and come up with suggestions on how it could be solved. It was not the easiest of tasks, however all four groups gave excellent presentations. 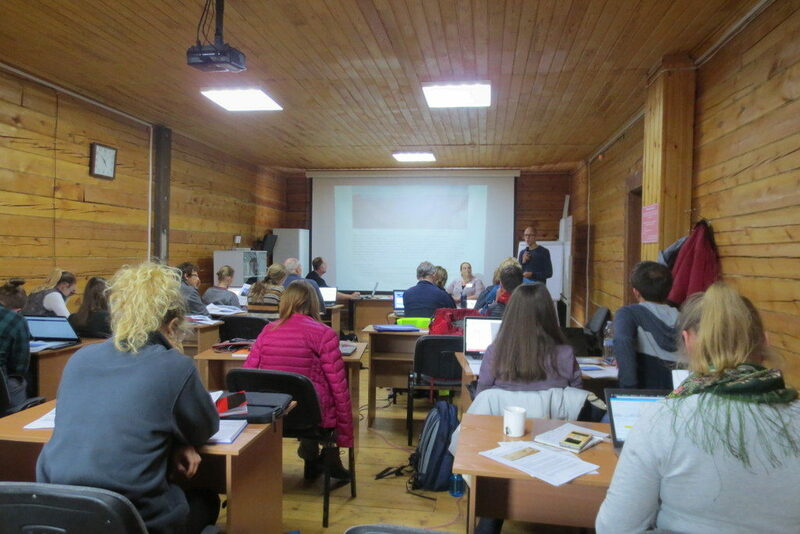 The course was arranged as collaboration between the University of Bergen, the Siberian Institute of Plant Physiology and Biochemistry Russian Academy of Sciences (SIPPB SB RAS), the Global Biodiversity Information Facility (GBIF) Secretariat. 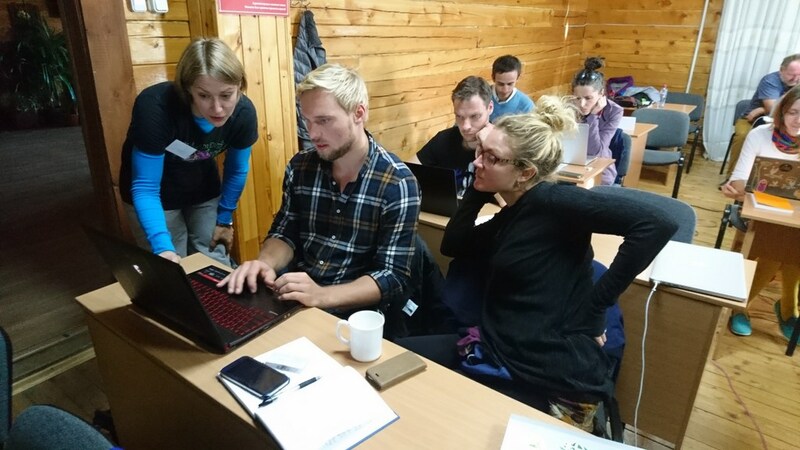 NorBOL (Norwegian Barcode of Life) supplied the teachers for the barcoding part of the programme, namely Endre, Torbjørn, Katrine and Tom. 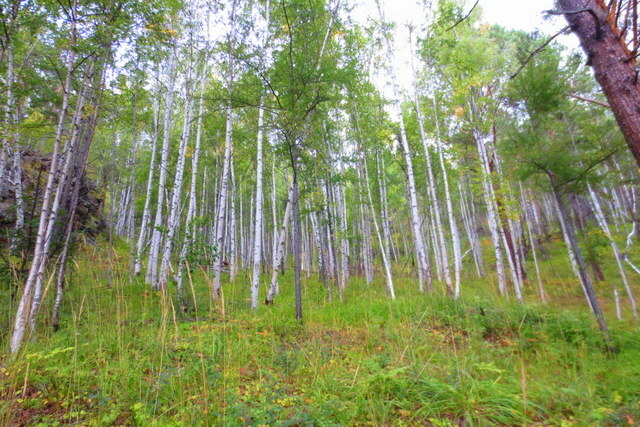 Funding came from the Norwegian Centre for International Cooperation in Education (previously SIU, now DIKU), GBIF and the Research School in Biosystematics (ForBio). For those who might not know, ForBio is a teaching and research initiative coordinated by the Natural History Museum in Oslo, the University Museum of Bergen, the Tromsø University Museum and the NTNU University Museum. It is funded by the Norwegian Taxonomy Initiative and the Research Council of Norway. 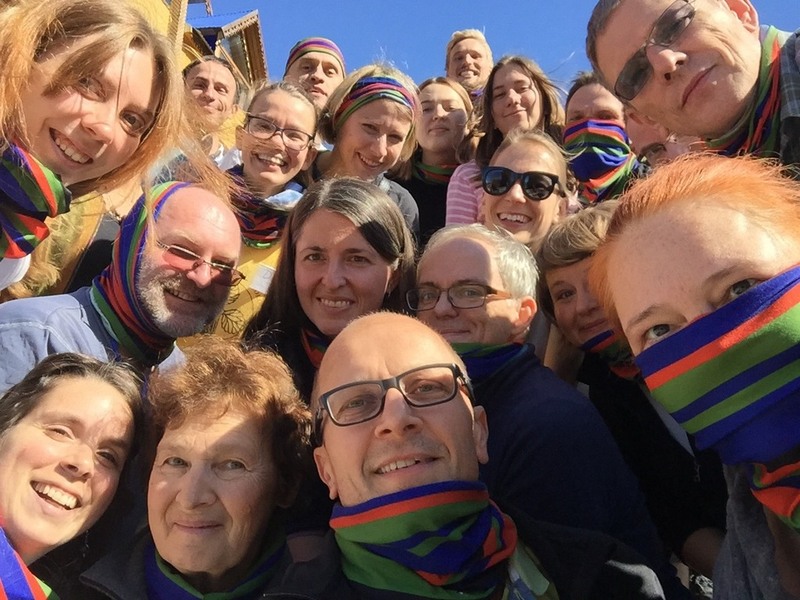 The Research School offers a wide variety of both practical and theoretical courses in biosystematics, and provides a platform for facilitating teaching and research collaboration between Nordic research institutes. 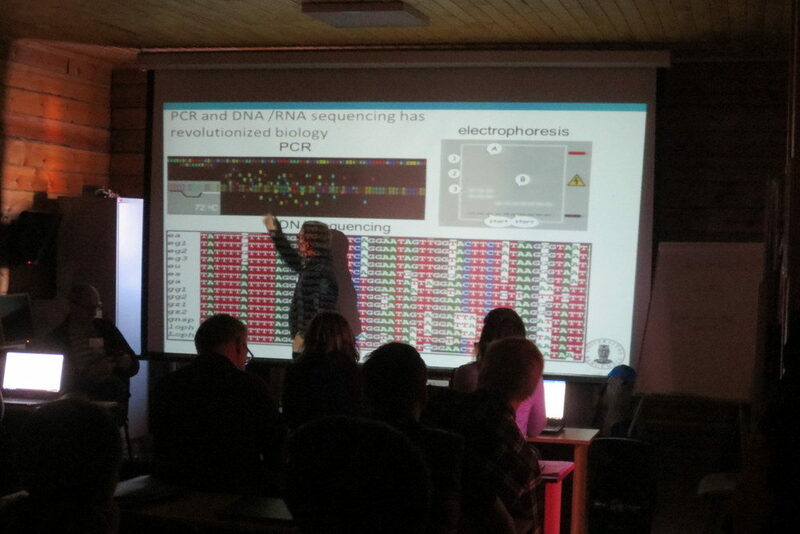 The course portfolio is likely to have something of interest to offer if you work with anything related to biosystematics –and is open (and often free) to you if you are student, researcher or staff at universities, institutes and consulting companies. 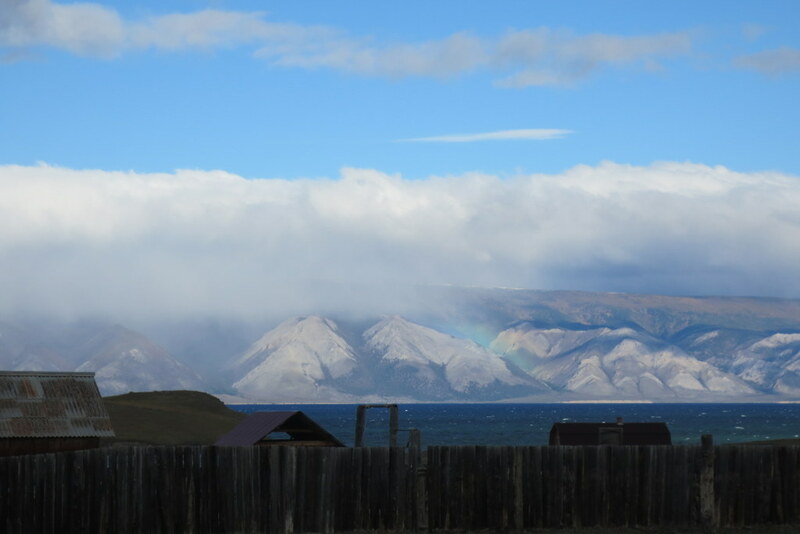 We enjoyed the opportunity to visit such a remote locality, and to get to know the students and teachers – thank you all for making this such a wonderful experience! Thanks also to the BOLD support team for excellent help before and during the course! 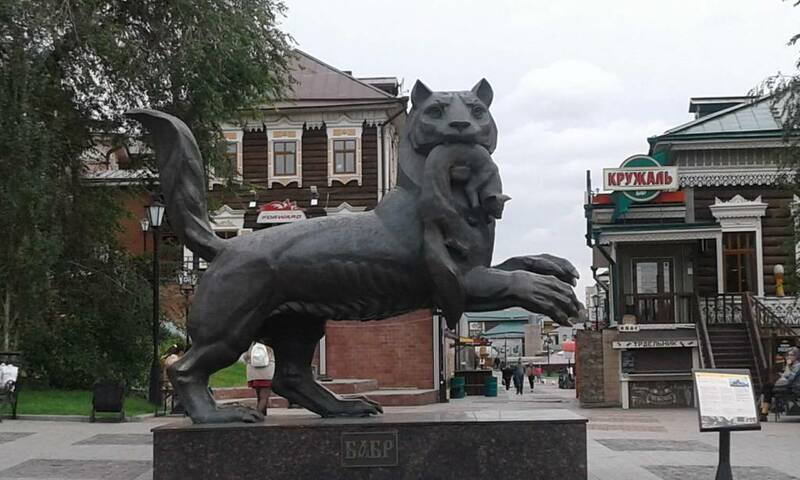 This entry was posted in About, Current projects, ForBio, NorBOL, Workshops and tagged #ForBio_GBIF, ForBio, GBIF, MEDUSA, RUSSIA; SIU, Siberia on September 27, 2018 by katrine. Every year a group of female divers from all over Norway organize a meetup at one of the many beautiful dive sites along the Norwegian coast. 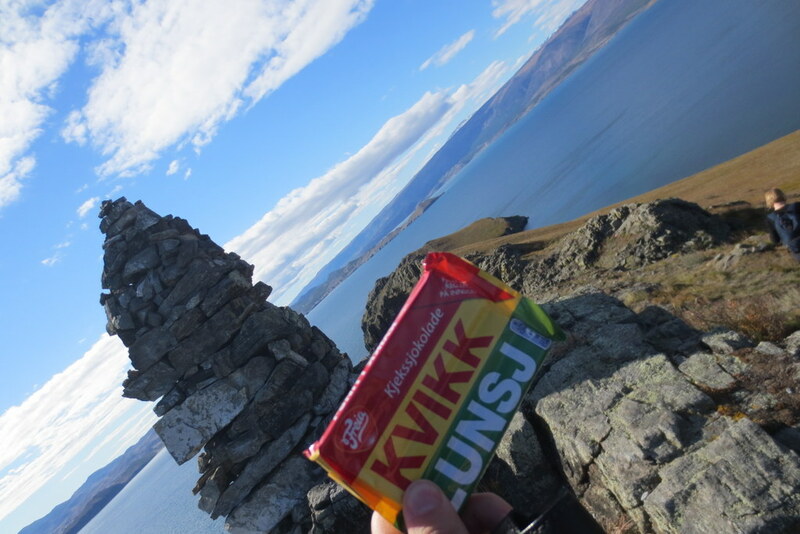 This year they decided to meet up in Askøy at the local seilforening. As this is close to Bergen, me and my colleague Justine Siegwald decided to check it out and see what the ladies would encounter underwater. 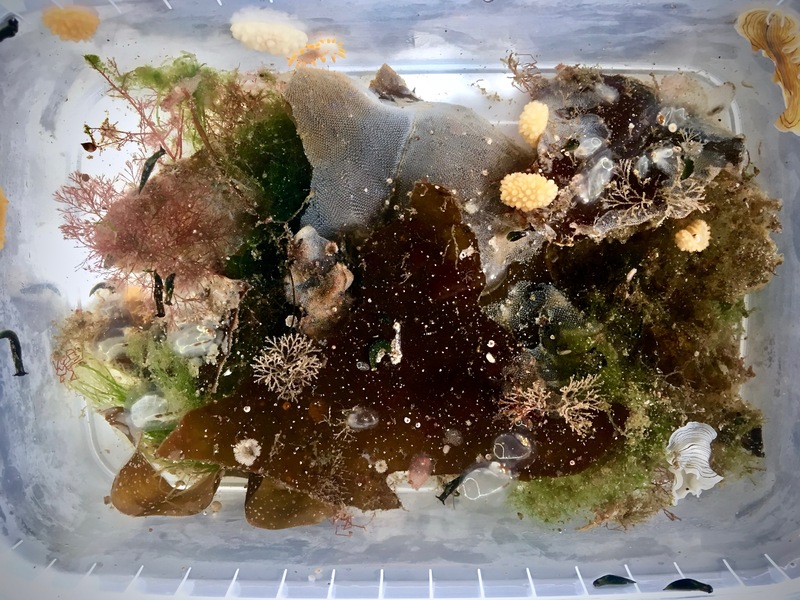 The meetup was short, and so was our fieldwork, but nevertheless the participants were able to collect a bunch of sea slugs and we added 6 more species to our database, hurray for our citizen scientists! 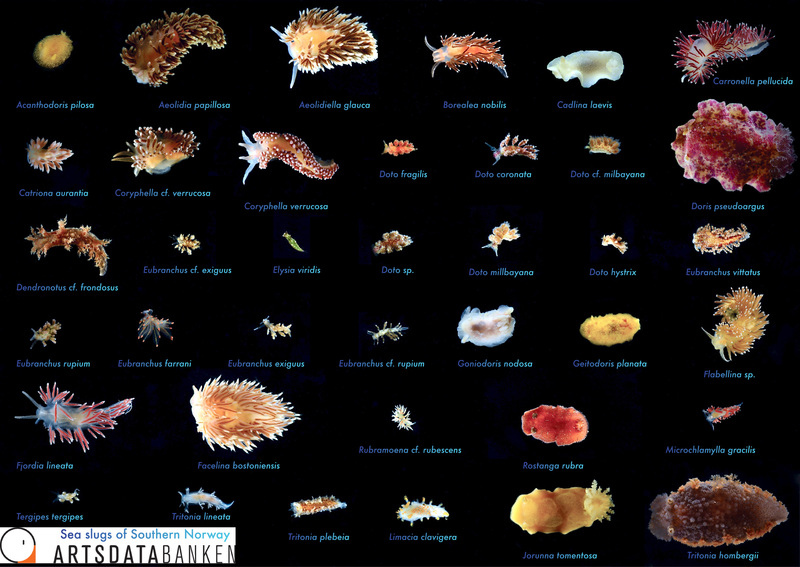 The sea slugs of Southern Norway project is a two-year project funded by Artsdatabanken with the aim of mapping the biodiversity of sea slugs along the Southern part of the Norwegian coast. The focal area stretches from Bergen, Hordaland, all the way down to the Swedish border. 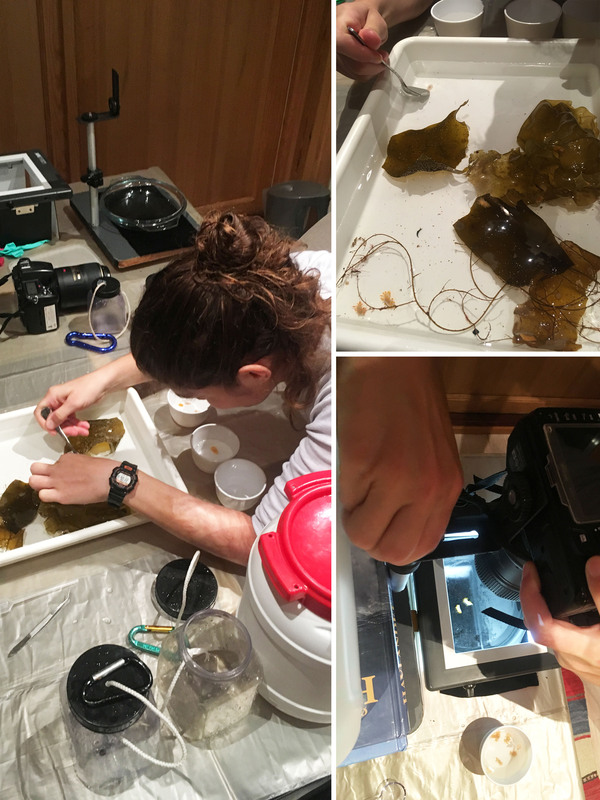 From the beginning we have made an effort to engage divers and underwater photographers passionate about sea slugs and establish a network of Citizen Scientists, and the response was extremely positive. Citizen scientists are volunteers that help out scientists by providing them with data as a hobby in their spare time. 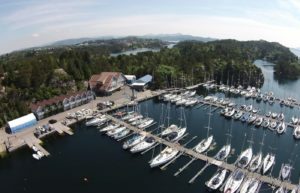 In May the project had its first official launch with a successful expedition to Drøbak, a little village well known for its marine biology institute, near Oslo in the Oslofjords. In just two weeks we were able to collect around 43 species. 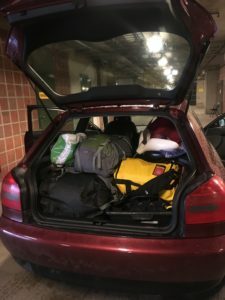 Two months later we headed to Haugesund to attend the Slettaa Dykkerklubb dive camp. This camp covered two weeks and attracted many participants. During the dive camp I lectured about sea slugs and especially how to find, recognize and collect them. 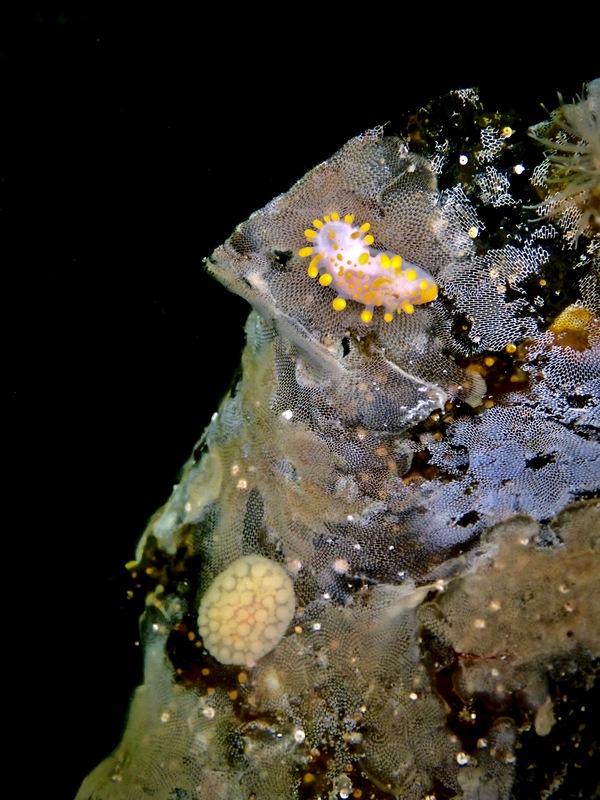 It was a huge hit and Sea slugs of Southern Norway suddenly counted many new citizen scientists. 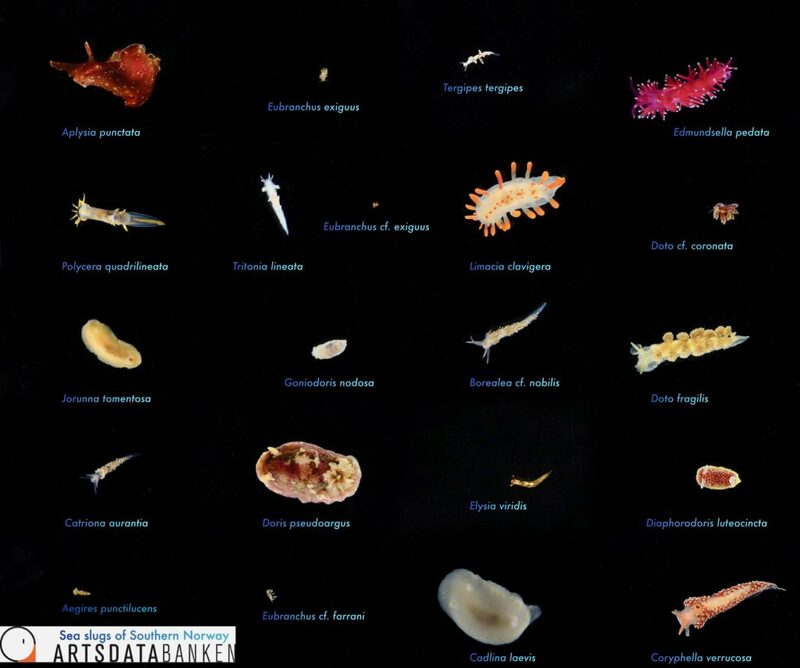 They were able to add another 22 sea slug species to our database. Friday afternoon Justine and I were picked up from the institute by the organizer of this years’ yentedykketreff; Gry Henriksen. Luckily everything fitted and off we went for our short car ride to Askøy Seilforening. Just a little over an hour drive later we arrived at our destination and we were amazed to see what a luxurious weekend was waiting of us. The seilforening lets us use basically all the space they had, which consisted of a big warehouse were the participants could store their gear, a big ‘club’ house with a kitchen and enough space for all participants to have dinner together. 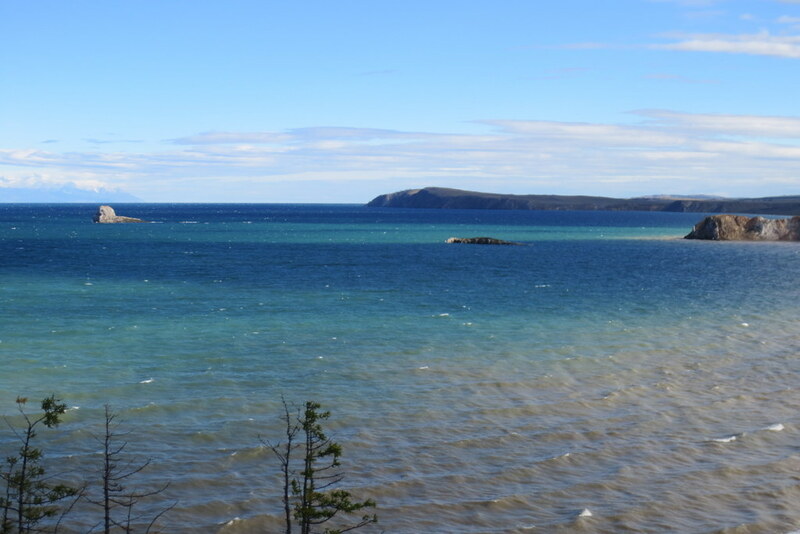 Not to mention the eight tiny houses right at the shore, provided with everything you needed and more. Right after the arrival Justine and I converted the living room of our rental holiday home to a popup sea slug laboratory as that same evening the ladies already went for their first dive and of course collected some sea slugs for us. 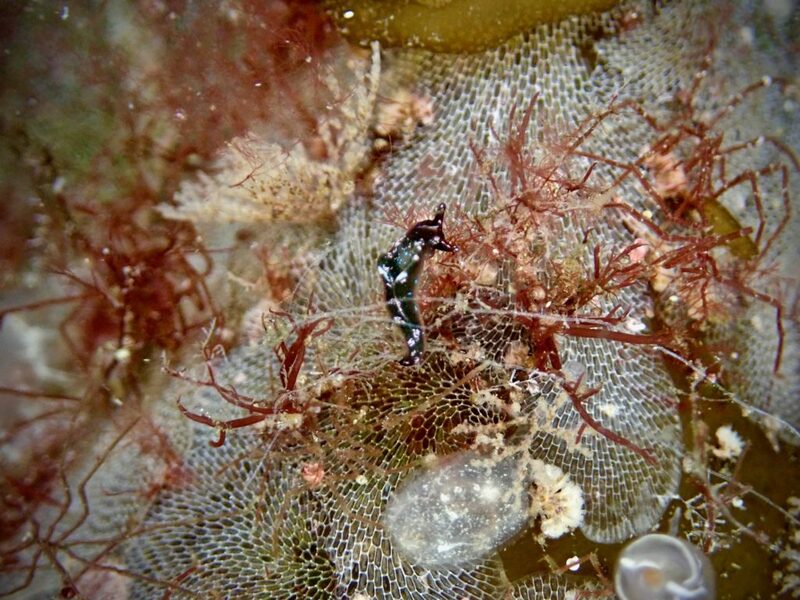 It is not real sea slug season anymore (best times are more towards winter and early spring) so the collections were dominated mostly by two species; Limacia clavigera and Adalaria loveni. A memorable success of the weekend was that Gry Henriksen found her first Elysia viridis in the wild during her dive after Justine and I carefully described the way to spot them. Elysia viridis is often overlooked by divers because it lives relatively shallow, between 1 maximum 5 meters. It mostly sits in the green algae (or red as we see it in the picture above) . It is actually easier to see them while snorkeling than diving, but it is still possible! On the last day of the event Gry found hers and collected them for the project! Sunday most off our activities consisted of packing our gear and await one more last catch of slugs from the morning dive. Even though the amount of new species to the list was low, I was happy that we were welcome during this get together weekend as both me and Justine met a lot of old and new faces and were able to engage them into the project. The participants inspired us for setting up a ‘sea slug course’ that we hope to be able to realize the end of this year together with Gry Henriksen and the Askøy Seilforening! So, keep your eyes out for the next blog post as a lot off activities within the project are still to come! I would like to thank Justine Siegwald for being an excellent helping hand during the weekend. And I would like to thank all the participants of the jentedykketreff; Runa Lutnæs, Brit Garvik Dalva, Sofie Knudsen, Laila Løkkebergøen, Silje Skotnes Wollberg, Sissel Grimen, Hege Nyborg Drange and last but not least, the organizer of this event; Gry Henriksen! 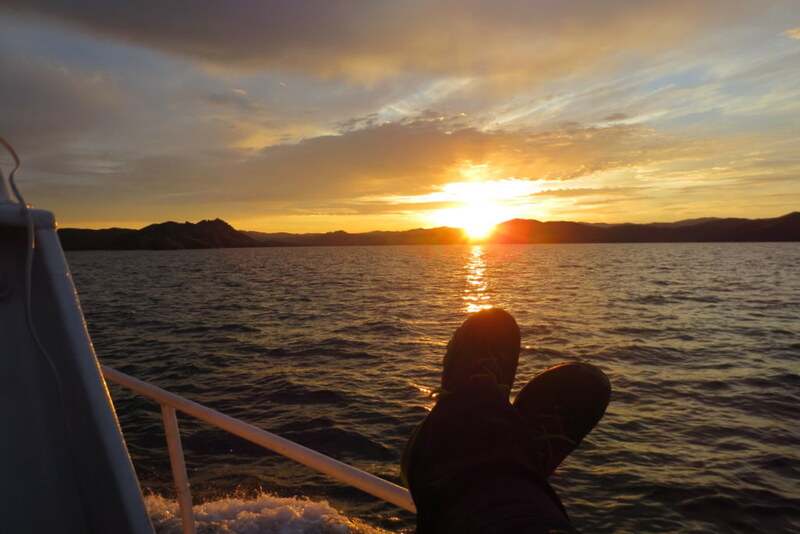 This entry was posted in Current projects, Field work, Mollusca, Norwegian Taxonomy Initiative, Sea slugs of Southern Norway (SSoSN) on September 3, 2018 by katrine.